Slack for internal. WIWO for external. See what other companies are working on — right from Slack. WIWO lets you share what you are working on with teams outside of your organization. And it lets you see what they are up to as well. 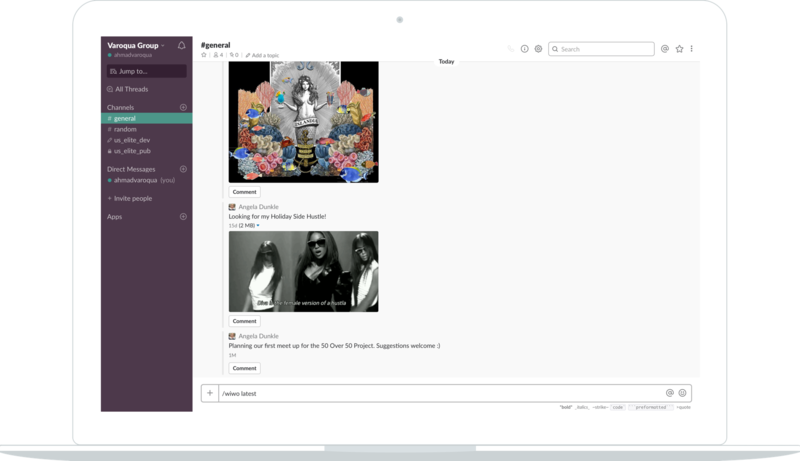 Spin out your Slack posts to WIWO. 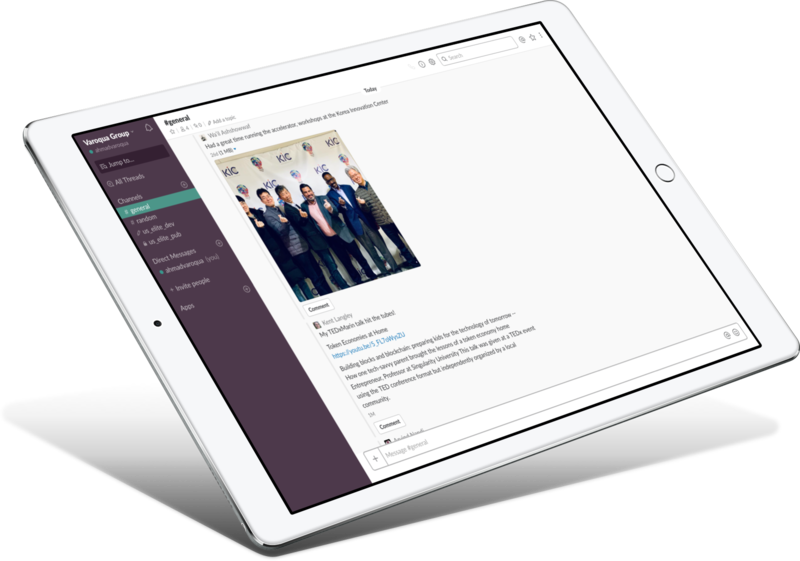 Keep customers and prospects engaged by highlighting what you're working on directly from Slack. Transparency never looked so good! See what other companies are up to. See what others are working on. Find inspiration across disciplines — and across the globe. Be an inspiration for those who might want to follow in your footsteps. Find experts inside and outside your organization. Find experts easily by searching posts for specific keywords and hashtags. Even those outside of your organization — right from Slack. 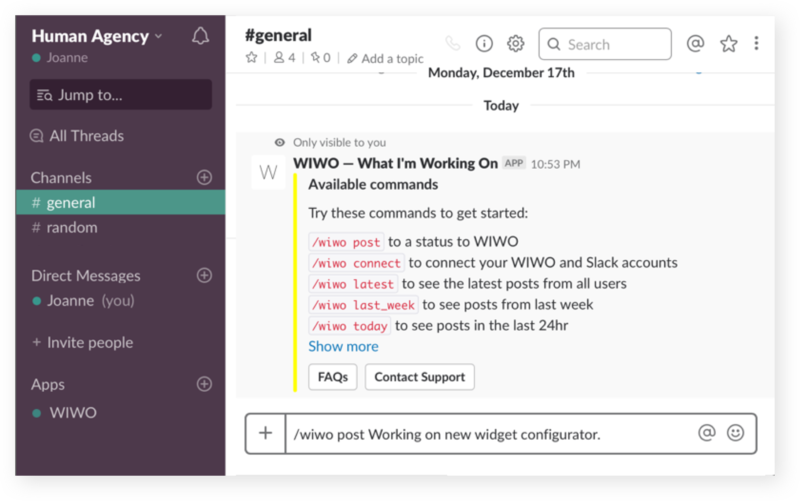 Start using WIWO with Slack. No account yet? Request an invite.